CAKEWALK BAKE SHOP: It's time for the Prom! Come one and all to celebrate our first year anniversary in 50's style! We have a super swell retro-inspired dessert menu. We have a big box of sweets to raffle off. We have a CAKE WALK in the works! There's also: crazy cool decor that will make your eyes drool by Bows and Arrows, savory bites from The Grape restaurant, 50's tunes to dance the night away provided by Dallas Gigs, photo booth fun by Flock Together Photo Booths, you can get your hair did in a signature 50's style by the talented gals from Shampoo Salon, and, um, well, if you need more, I'm not sure you will ever be satisfied. Because this is a lot and it is all so wonderful. So go on now and RSVP. 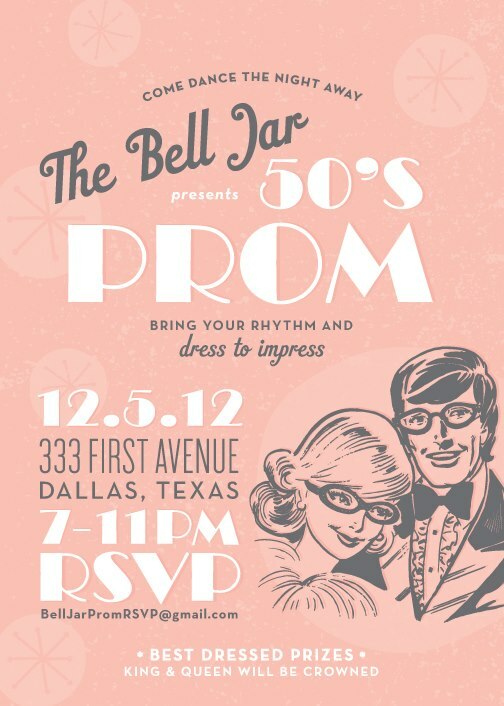 You won't want to miss this chance to step back in time and party like your mama, or grandmama, or both.